Although you can get pizza and pasta at a lot of different places, there are few that can call themselves the best. 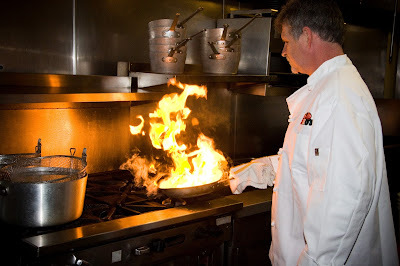 At Li'l Rizzo's, we have been named best Italian restaurant at the Lake of the Ozarks five years in a row. We love food, especially Italian, and it definitely shows! With every bite that you take, you will be able to tell that it was made with care and the freshest ingredients around. If you want to learn more about Lake of the Ozarks' favorite Italian restaurant, we have everything you need to know about Li'l Rizzo's below. How It Began It all started in 1985 when Carol Borders moved to the Lake of the Ozarks and opened the original Rizzo’s Restaurant in the location of the storied Oaks Tavern on Bagnell Dam Blvd. Rizzo’s was an instant success and one of the few restaurants that stayed open through the winter. The original Rizzo’s was remodeled and reopened as Maggie Mae’s in 1991. Watch The Game At Li'l Rizzo's! One of the best parts about fall at the Lake of the Ozarks isn't the beautiful scenery, it's the fact that it is also football season! Missouri is passionate about sports, whether it's high school, college or professional. At Li'l Rizzo's it isn't enough to just watch the game, we want you over for dinner too! 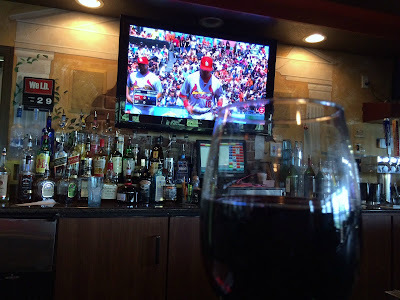 If you plan on watching any of the games this season, check out these reasons why you should watch them at the best Italian restaurant at the Lake of the Ozarks. Watching football just isn't the same unless you have a cold one in your hand. At Li'l Rizzo's, you can choose from several draft choices and nearly 15 bottle varieties to choose from, so a cold one is never far away. 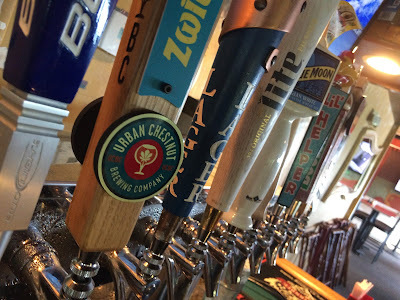 In addition to our wide beer selection, we also have a fully stocked bar! Watch your favorite team and enjoy a tasty drink at the best sports bar at the Lake of the Ozarks. Enjoy Happy Hour All Day On Sundays! After a hard day of work, there is nothing better than relaxing with your friends and enjoying a few cold ones. However, now at the best Italian restaurant at the Lake of the Ozarks, you can enjoy Happy Hour before you start the work week! Starting September 26, Li'l Rizzo's will be serving up Happy Hour prices all day on Sundays, so you can start your week off right. Check out all that you can get when you enjoy the best Happy Hour at the Lake of the Ozark. Before we dive into Happy Hour at Li'l Rizzo's, let's take a look at some fun facts about the happiest of all the hours in the day. - The term Happy Hour originated in the 1920s. It referred to the time when sailors in the Navy were away from their shifts. Happy Hour usually involved boxing or wrestling as well as some drinks. People love pizza, however, did you know that it could also be used as a motivator at work? The best pizza at the Lake of the Ozarks is now more than just a great addition to any party. In a recent study, it was proven that pizza is proven to increase productivity at work more than money. At Li'l Rizzo's we love pizza, and we love to cater any event, even work parties! How exactly does pizza work more efficiently than money to motivate employees? The best part about tailgating is showing team spirit, so make sure you and your area are decked out to show your support. Whether you just wear a team's shirt or you go all out, getting together with friends to cheer on your team will make the experience of tailgating even better.